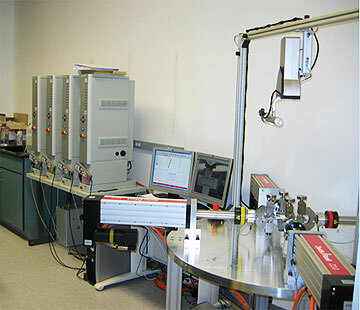 The Zwick machine is a custom built biaxial material testing device equipped with 4 linear independently controlled actuators of 2kN capacity. Each actuator is fitted with a loading fixture for applications of tensile and/or compressive loads to the test sample and a dedicated load cell. 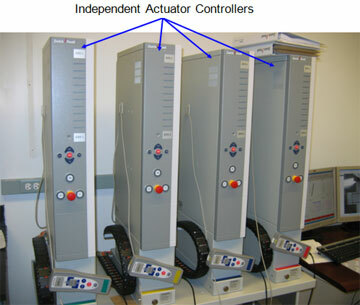 The actuator drive system's travel resolution is 0.101µm while the load cells resolution is .001N. 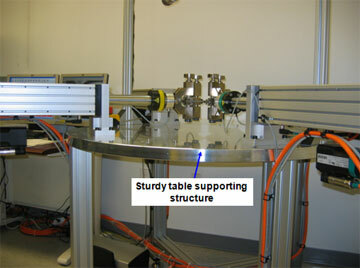 Actuators can be positioned every 45° around the sturdy round aluminum supporting table. 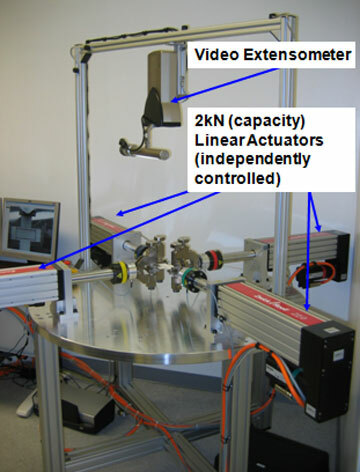 A video extensometer rigidly fixed to the machine frame allows for non-contact strain measurements of materials that undergo medium to large deformations. 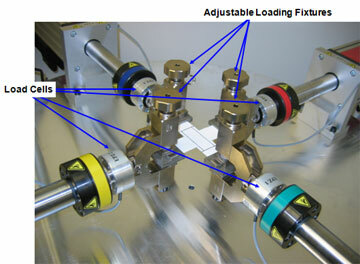 The extensometer is equipped to capture both Axial and Transverse strains simultaneously in separate input channels. Camera lenses are interchangeable to permit different field of views and minimum theoretical resolution ranging from < 0.3µm to < 6µm. With the present field of view and lens, resolution is 1µm. 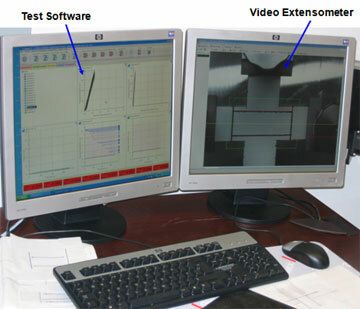 The testing software testXpert II installed on a dedicated computer allows full customization of test procedures, loading sequences as well as standard DIN, ISO and ASTM test specs. To accommodate diverse testing protocols, custom-designed test fixtures can be designed by one of the lab engineers, and coupled with an appropriate force transducer. A water bath for characterization of materials in various solutions is also available.